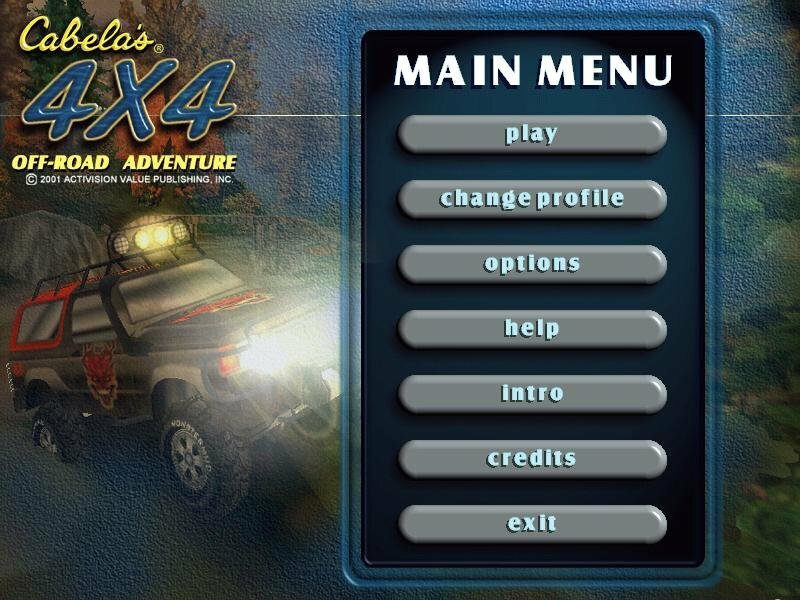 Unlike Gathering of Developers’ 4X4 Evolution, a game that places fun over realism and features cross-platform gaming for up to eight players, Cabela’s 4 X 4 Off-Road Adventure is a solitary sim with tedious gameplay and technical troubles that hurt what could’ve otherwise been an enjoyable off-road experience. 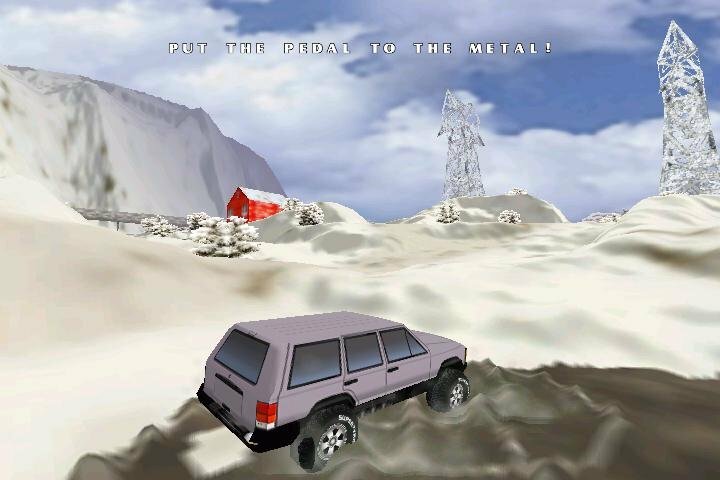 Developed by Romania’s Fun Labs (their first game, in fact), this 4 x 4 adventure allows you to crawl into one of 25-plus customizable vehicles and tackle all kinds of North American terrain (the usual: snow, desert, swamps, etc.) 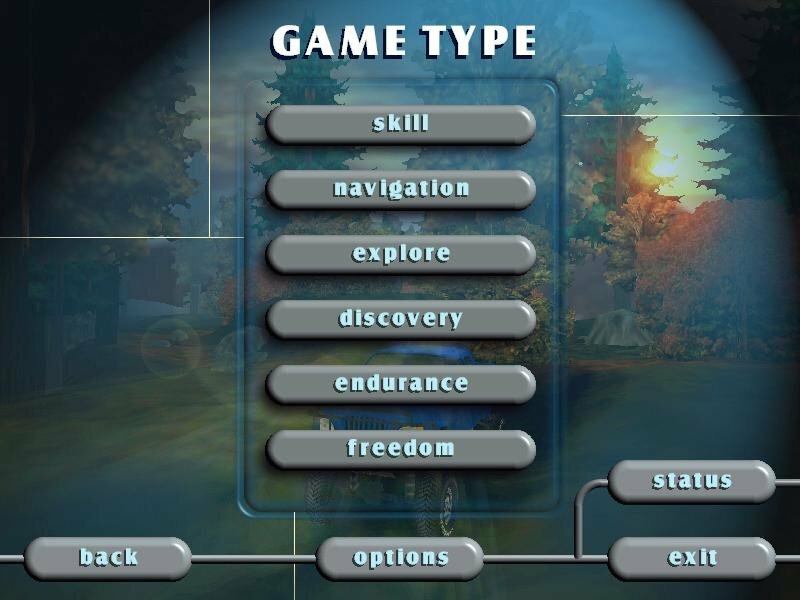 in one of six game types (three of which need to be unlocked). 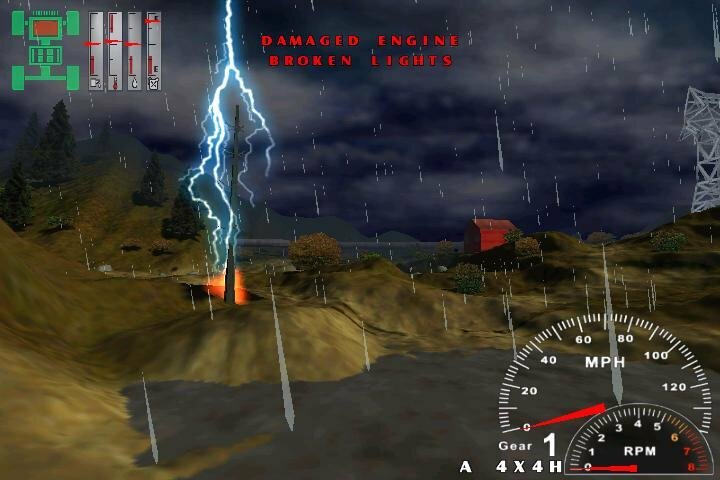 For example, the “Explore Mode” has you find six randomly-placed buoys on the map, while in the “Navigation Mode,” a compass points to the destination, and you’ve got to find the best route. 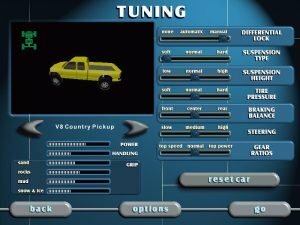 Effectively completing levels unlocks truck upgrades for subsequent adventures (yep, the same truck stays with you). 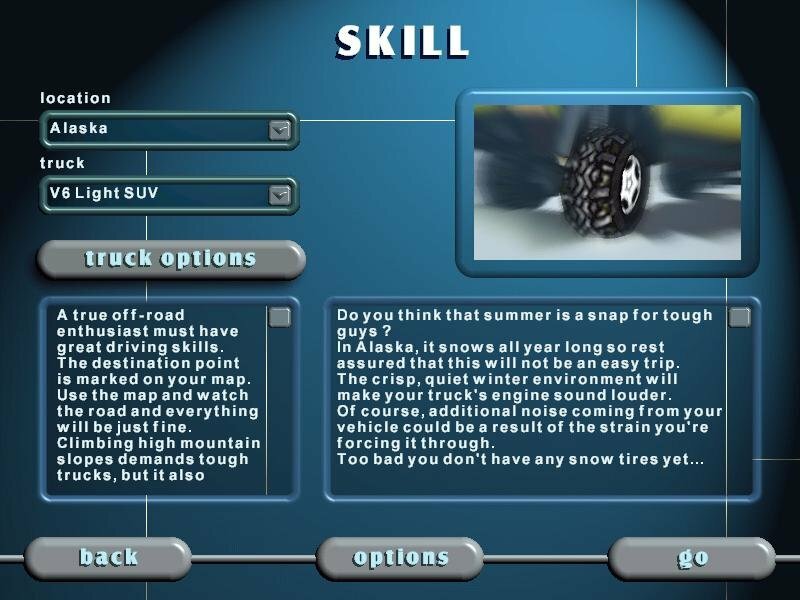 There is some strategy in tweaking components such as suspension, tires, transmission and gear ratios to best suit the objective. Other items such as lighting kits, winches, spare fuel cans, and the like need to be kept in the backseat. 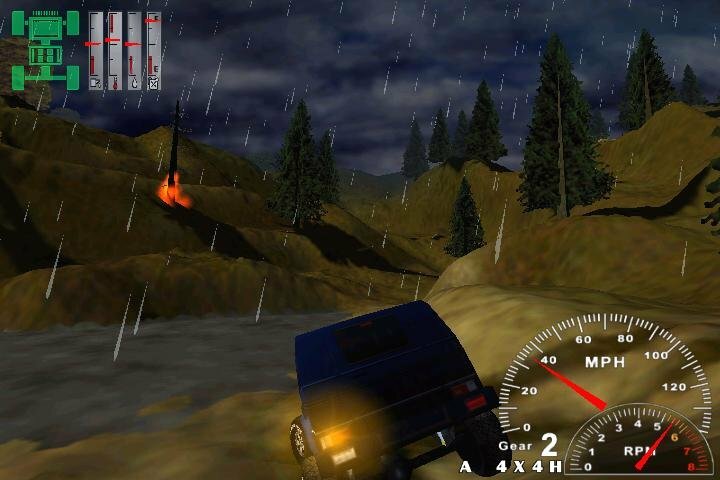 Visually speaking, it’s quite impressive for a budget title, with fair terrain, water and weather effects. Maximum resolution hits 1280 x 1024 (16bpp) with a solid 3D card. 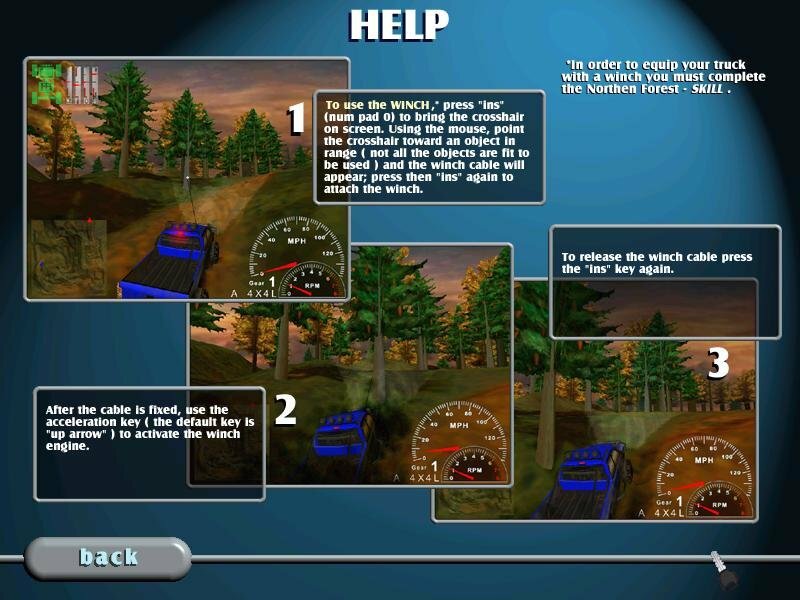 Even though the 2D backdrops look cheesy, objects such as large rocks, trees and shrubs are all rendered in 3D. Driving over shrubbery will even cause it to snap back and sway in a realistic fashion (unlike most games of this kind where you can drive “through” the sprites). 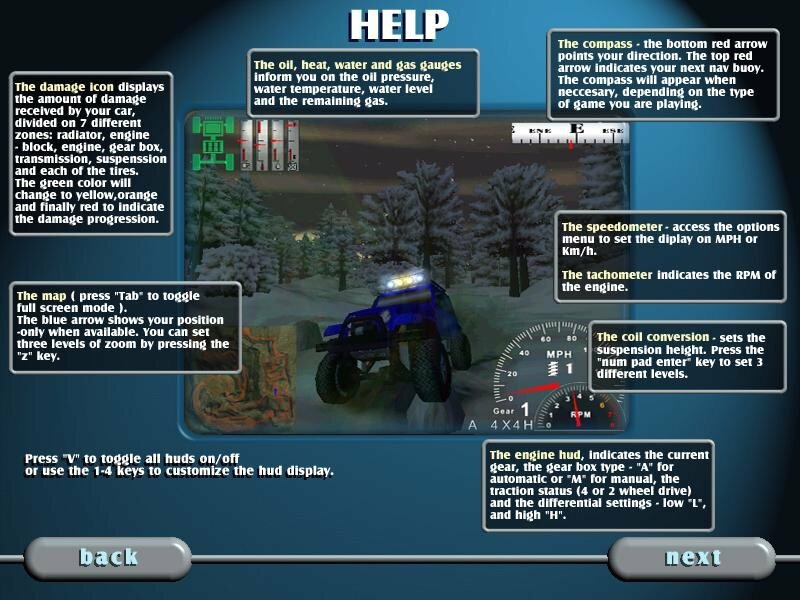 While Cabela’s 4 X 4 Off-Road Adventure is refreshingly challenging, it conspires to be both tedious and complex — a bad combination; the vehicles are too tricky to control (even when using a steering wheel or gamepad); necessary keyboard commands such as gear shifting don’t seem to respond fast enough, and invariably, damage to the truck. 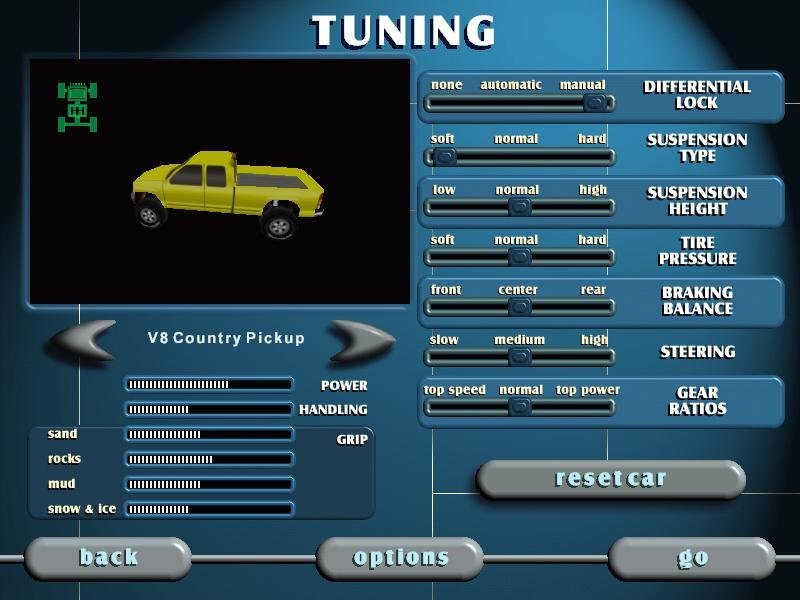 The fact that there’s no other truck to play against, or any multiplayer, further decreases it’s value. 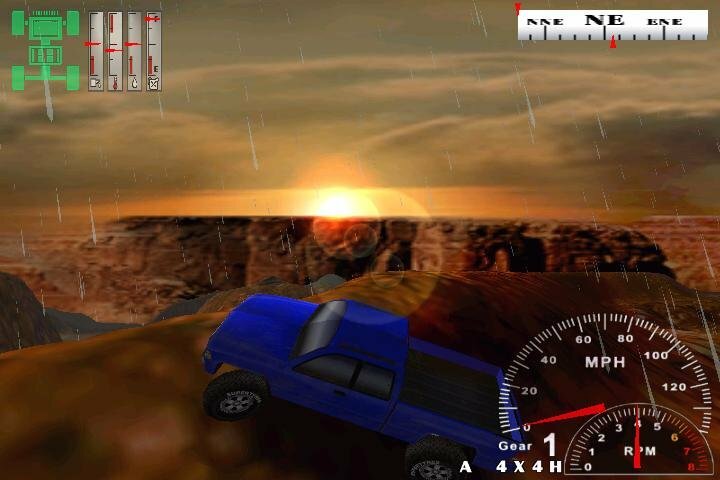 If you’re desperate for a 4×4 game, do yourself a favor and pick up 4×4 Evolution instead.